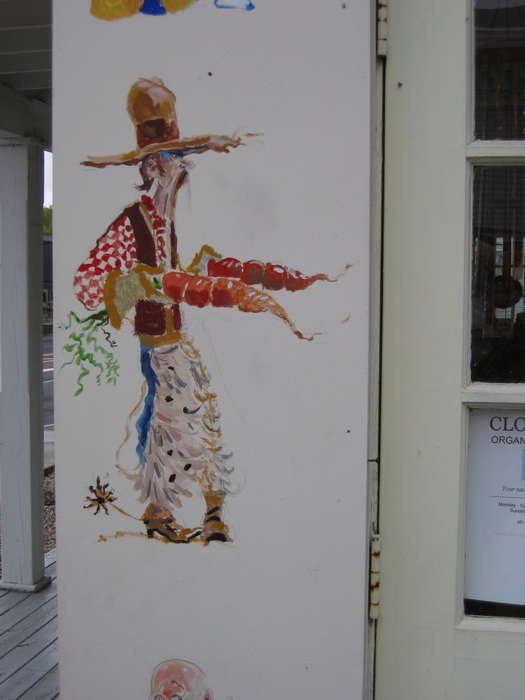 Spending time in Lee, MA this past weekend, I found a few painted cartoons on the side of an over-priced natural foods store. I guess for the extra money, that’s what you get: cute cartoons. Just like Whole Foods. For the extra money, you get the “feeling” that you are participating in keeping the planet safe and clean. Oh, well . . . how do you think I could make some money by selling a feeling?